While Green Lantern is still over a year away from flying into global box-offices, whatever work has been done on the film so far must have re-charged the right batteries around Warner Bros., for today they signed up writers to start work on the sequel. That's right, Green Lantern script-writers, Greg Berlanti, Michael Green and Marc Guggenheim, are been kept locked to the writing desk, to not only get the pens out on Green Lantern 2, but The Flash as well. 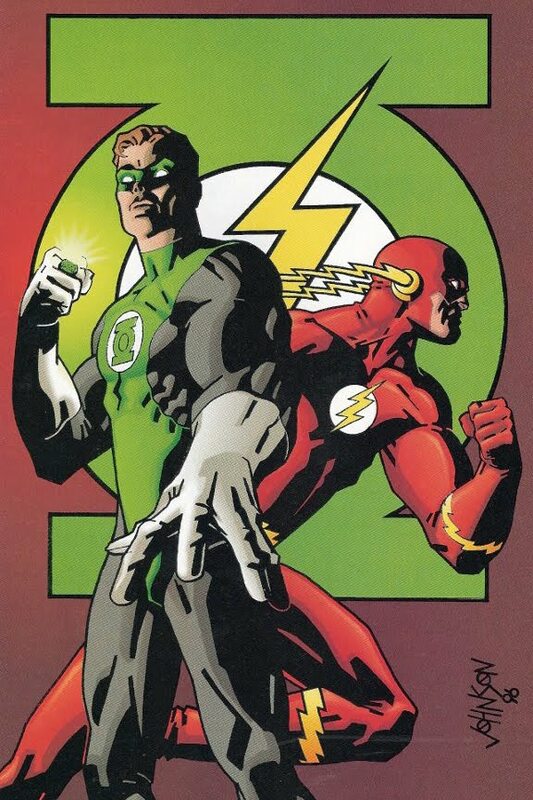 While the deal announced on HeatVision would then see the trio tackle the screenplay of either Hal Jordan or Barry Allen respectively, it marks an exciting show of confidence for a company who has historically believed it's got to be a 'Super-Bat' to sell. Now, with new Superman and Batman films already in the scripting stages, and Green Lantern 2 and The Flash well under way, DC/Warners might have just stolen the Marvel Studios momentum.